Every parent knows that kids grow way too fast, so we want to get as much wear out of kids clothes as possible. My number one tip is to not sacrifice on quality! It may seem counterintuitive to spend more money in order to save, but it’s often the better choice in the long run. 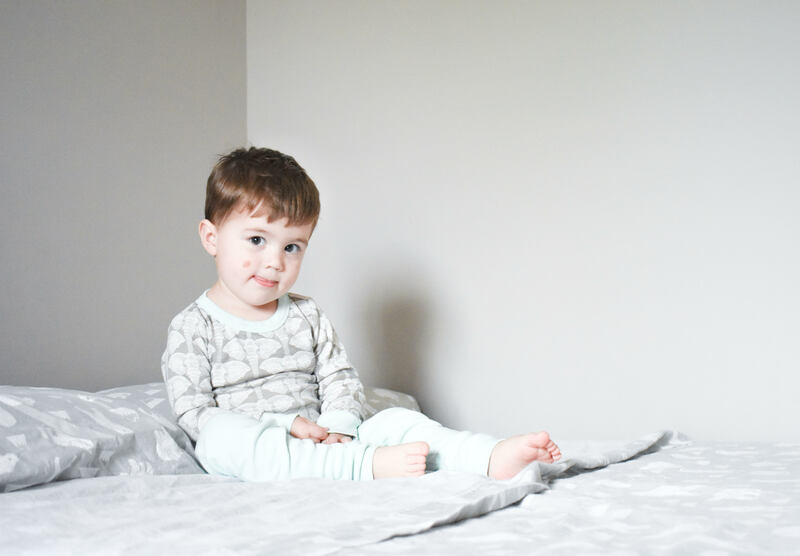 As an example, I recently got these Finn + Emma Elephants Pajamas for Colton. The quality of the pajamas is impeccable. 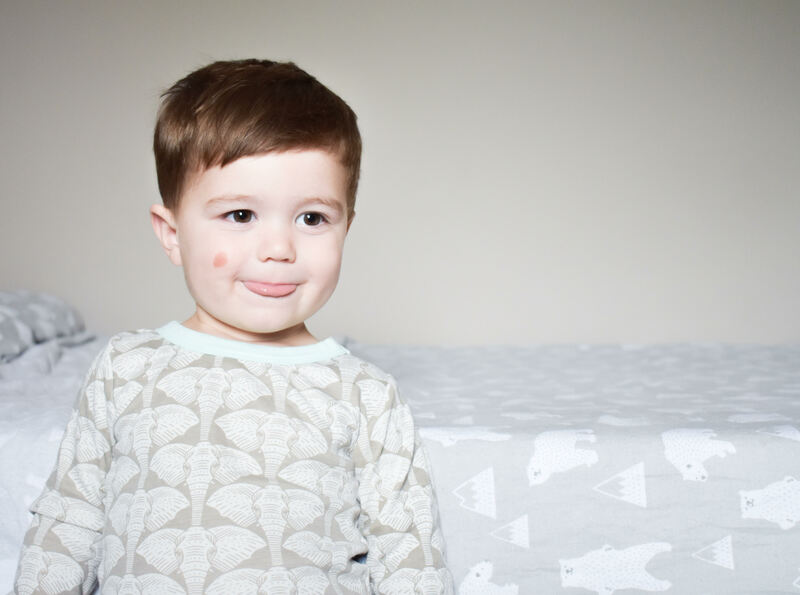 They’re made with organic cotton and non-toxic, eco-friendly dyes. The material is a nice thickness and incredibly soft. Because these pajamas are such high quality, I know we will get a lot of wear out of them. And that they will last through lots of little boy wear-and-tear. I justify higher-end kids clothes because they don’t fall apart after a couple wears. Quality over quantity! 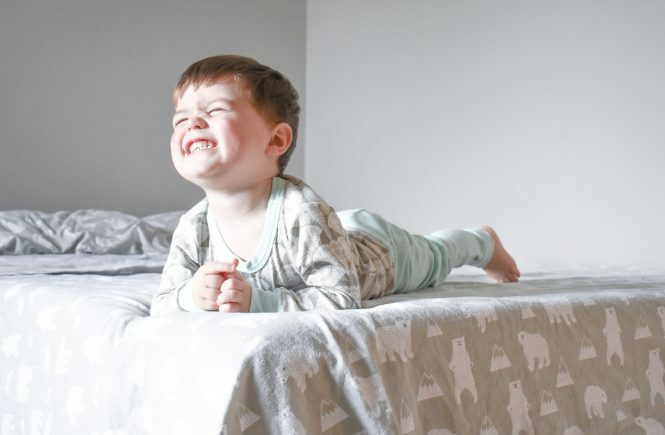 Which brings me to my second tip to save money on kids’ wardrobes: if you’re planning to have more babies, buy unisex pieces whenever possible. I choose a lot of unisex items for Colton, including these pajamas. It works out well because I’m often drawn to more neutral patterns over stereotypical “boy” or “girl” designs. 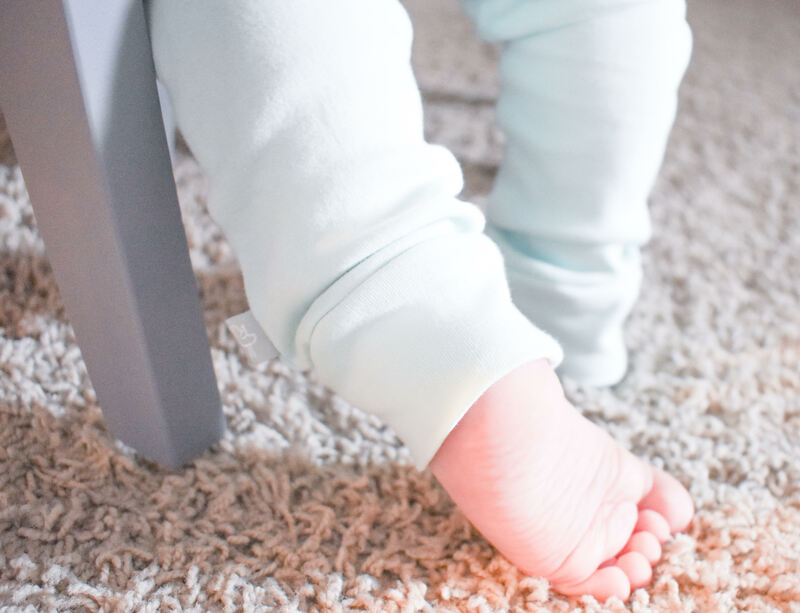 The advantage to choosing gender-neutral clothing is that your future babies can easily wear everything! 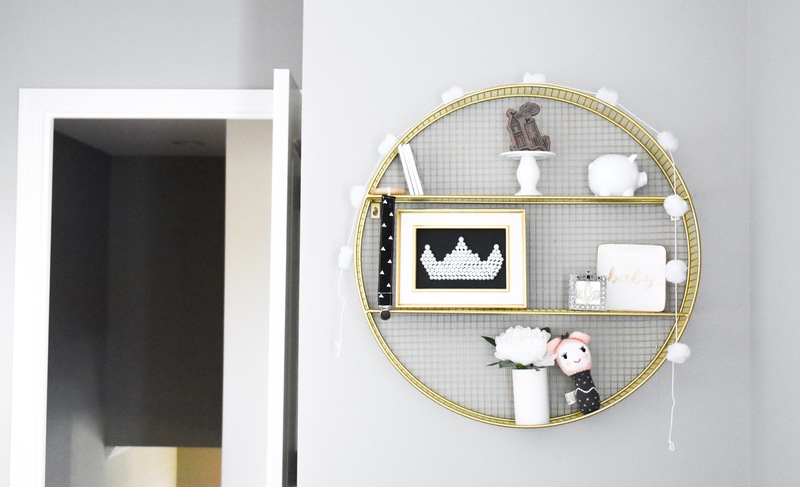 Obviously, my love for neutrals extends to our home decor, too. Lots of grey and white around here! Because these pajamas are gender-neutral and high-quality, I anticipate Baby Girl will be wearing them here in a couple years! It’s crazy to think about, but I know that time will come before I know it. 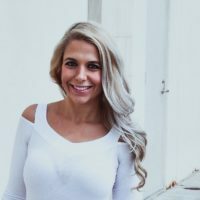 How does time pass so quickly once you become a mom? Well, except for the hour before my husband gets home from work, which is generally the longest hour in history. Look at this adorable little tag! Colton loves birds, so he thought the little birdie tag was super fun. We have a fair amount of birds that land on our fence, and he loves to watch out the window for them. When he sees one, he calls me over to watch it with him! It is the sweetest thing. He also tells me all the facts he knows about birds: they fly, they say tweet tweet, they have wings, they have beaks, they live outside, and so on… every single time. It is so adorable to see him sharing his knowledge. Even if I was the one who taught him the facts originally! We also picked up a couple items from Finn + Emma for Baby Girl’s nursery. You may have already noticed them in my last nursery post, but I love them so much that I want to share again! 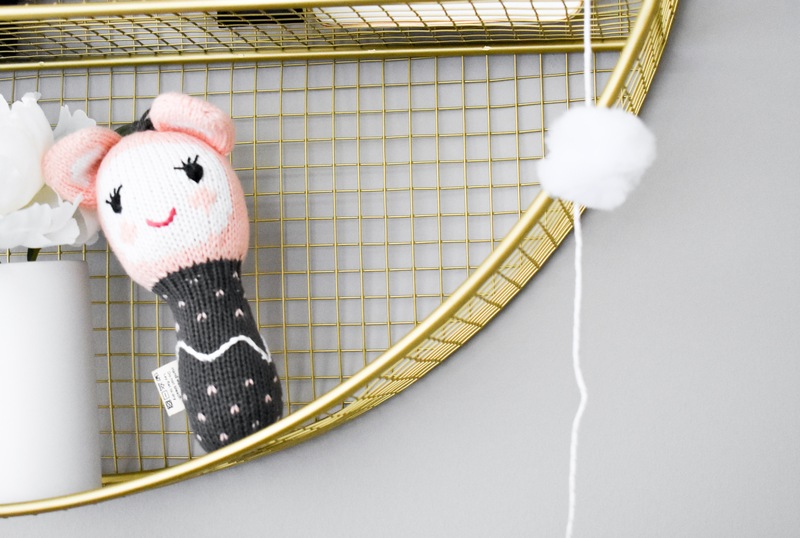 This adorable Lily the Pika Mini Rattle is hanging out on Baby Girl’s wall shelf for now, but I know she’ll get a lot of play time in the future. She is hand-knit from organic cotton and stuffed with sheep’s wool. A perfect keepsake for our little girl! 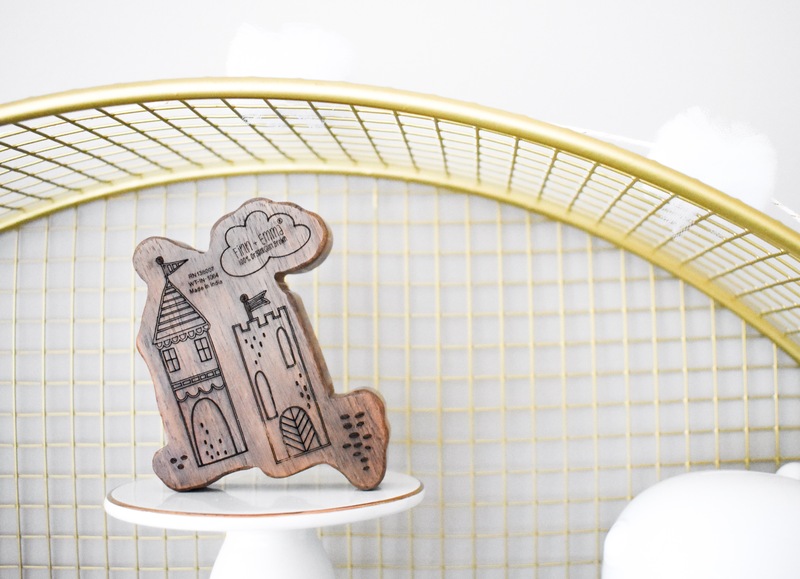 The castle design on this Village Wood Rattle Teether fit perfectly in our Queen B’s room. 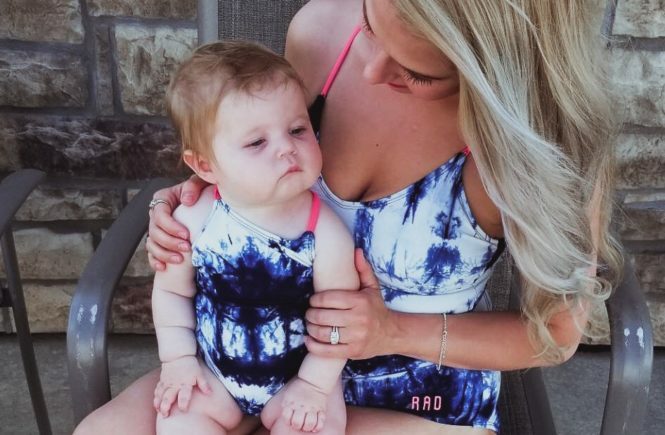 I love that it’s made from natural materials, so I don’t feel bad about her (or Colton!) putting it in their mouths. And just because, one more of my brown-eyed boy. I’m one lucky mama. 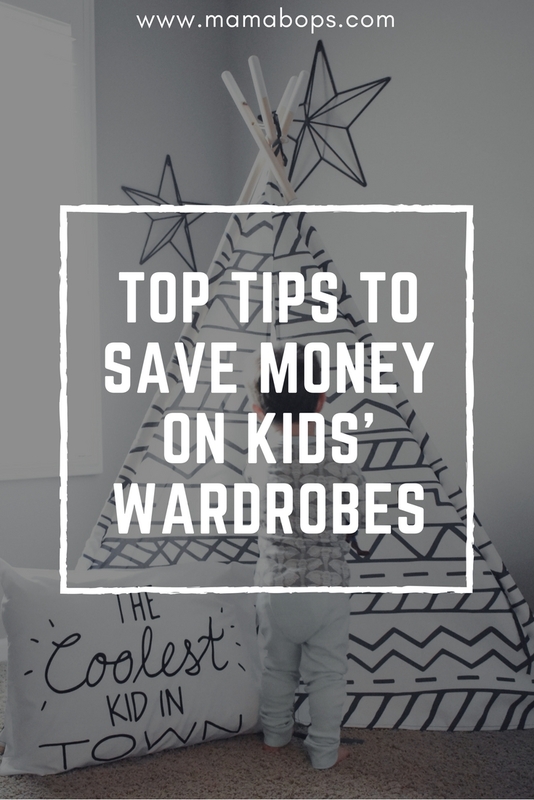 Pin these tips to save money on kids’ wardrobes for later! this is such an imp topic..I recently did a post on how the kids clothing budget goes haywire becasue of them outgrowing the clothes even before outwearing them. I can totally relate! I usually get Colton’s stuff a size big so he can wear it a little longer! 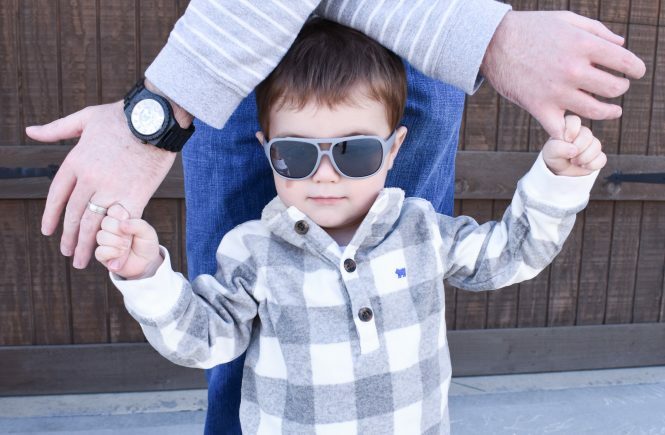 I love your style and your little boy is adorable. Congrats on your baby girl too. Thank you, Elise! I’m very lucky to have both of them! These PJs are so cute! Good quality is important when buying clothes for my kids. I want them to last and not fall apart. Love the room decorations too! So cute. Thank you, Liz! I totally agree on selecting high quality pieces! Great post! I love this topic! We shared between our two girls as we didn’t have any boys, but I love the gender neutral tip! Thanks, Thena! I bet having two girls is a lot of fun! So cute! we love this brand! 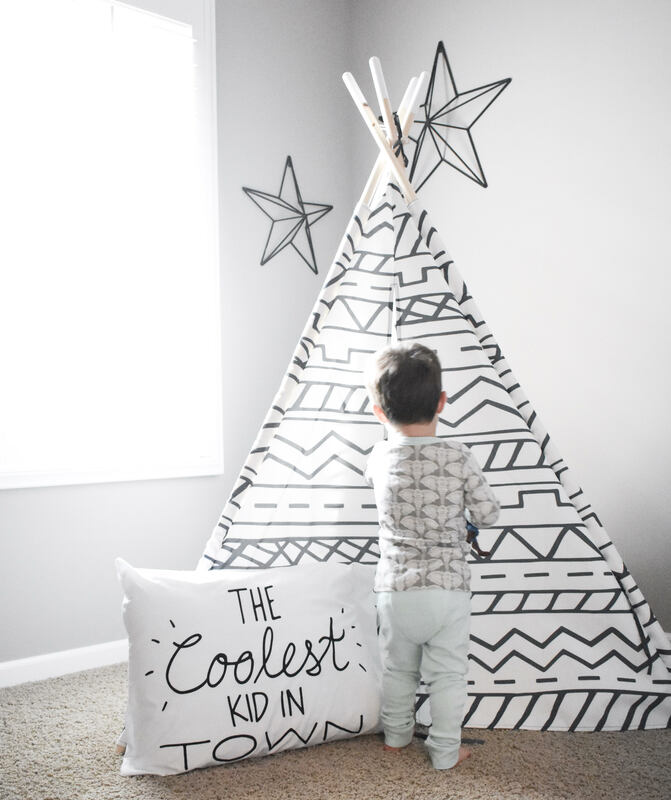 Your tee pee and kids’ decor is adorable too! You have some great ideas here, but I am most impressed with you photos. Amazing style throughout. Thanks, Kate! I’ve really been working on my photography, so that means a lot. That’s awesome! It’s so nice to be able to get more use of kids items! These are some great ideas. Another one is to try to find a second hand shop that has kids clothes that cheap since kids grow so fast. That’s what my sister did for her kids. That’s a great idea! I bought from some garage sales and consignment sales for my first, but I don’t have the time to go to them anymore. Now I’m all about the online shopping! OMG! I love everything about this! 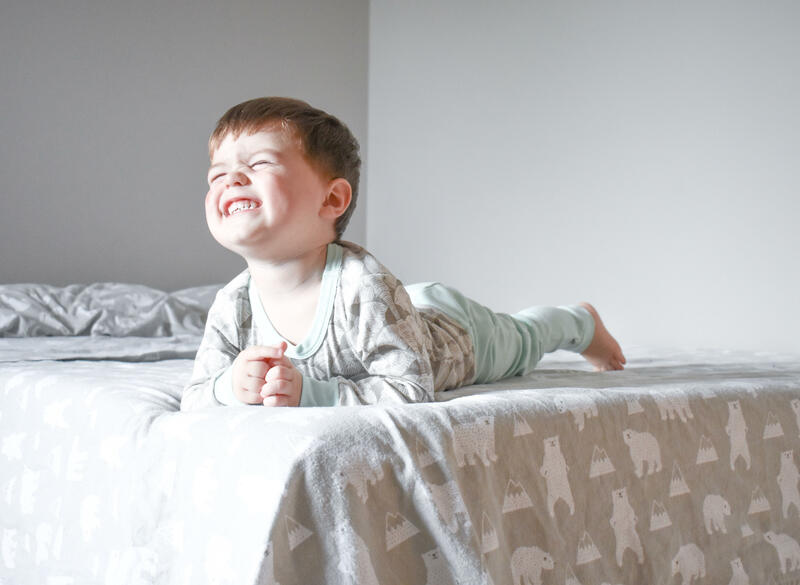 I love the organic cotton jammies with elephants and I wish I had them in my size. 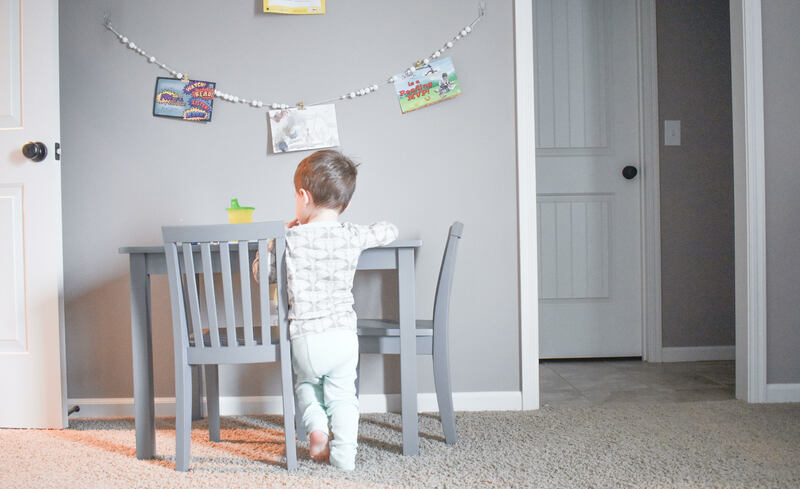 I love the kiddos’ rooms, especially the monochrome theme. And I love love love that your comment replies show up with stars!!! Great tips. Neutral, good quality clothing can last through the child bearing years. Thanks, Kristin! I totally agree! Really great tips! I love the photos and neutral colors. That tent is just the cutest! 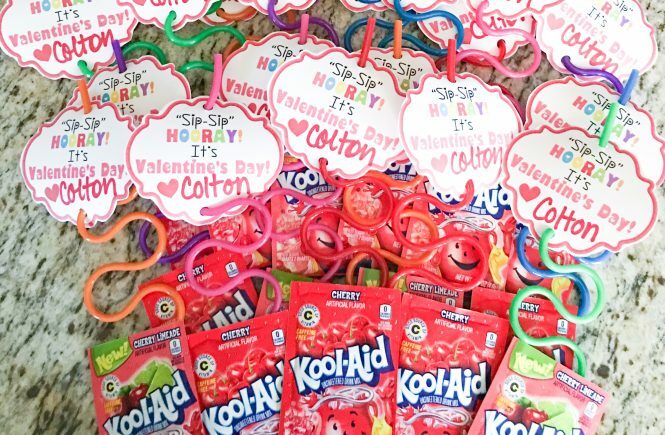 Thanks for linking up with Fabulous Friday. Thanks so much, Jennie! I always look forward to your linkup!